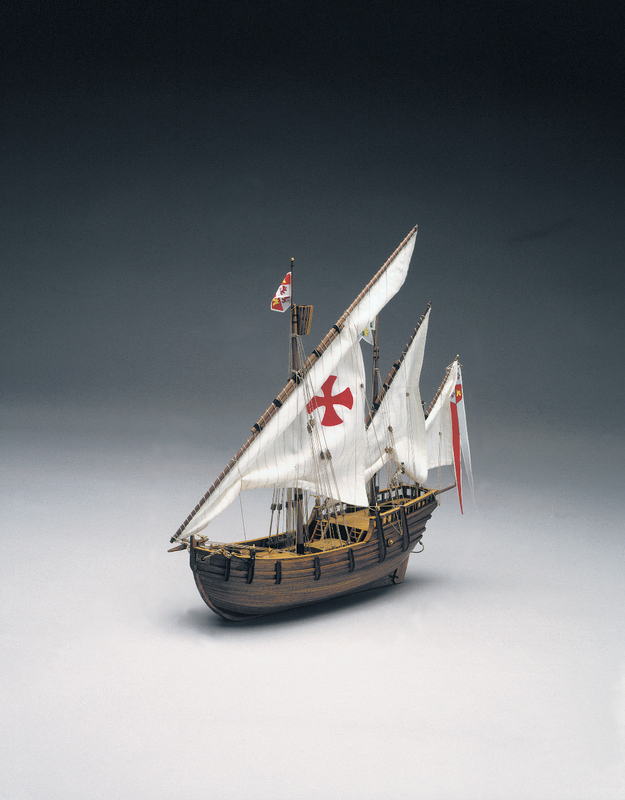 Nina was a classic caravel with pure latten rigging, with hanging sails in the middle point of the lateen yard and with shrouds hooked to ship’s broadside. It had no forecastle and it had a small quarter-deck. Christopher Columbus, S. Mary’s captain in the first historical expedition. Took the next Atlantic passage with Nina, which had a particularly strong construction, but with reduced length (a little shorter than 20 meters) at the mercy of the waves.